I don't think that girls ever enjoyed such an experience but were conditioned by society to to flash their flesh and wave pom poms rather than play, watch or coach football. Thankfully, those days are in the past but we still need to put much more effort into attracting and encouraging half our potential fan base. Well I took my 7 year old daughter and her pal yesterday and her thoughts were 'I don't think they were trying hard enough!'. Luckily she's very keen on football and even wants her birthday party to be a football one at the stadium. However if you are trying to keep a kid entertained or introducing them to games, yesterday in the cold it wouldn't be an easy task. Saddest thing is I see around me is even the most loyal stalwarts are becoming disillusioned and many are finding that attending is becoming a chore. I don't really see anyone going to games anymore with any kind of excitement or anticipation. Maybe some liquid refreshments help somewhat but that's not an option for me sadly plus it seems the bar at the stadium closes even earlier now. I remember when we had flybe as a sponsor and I had the opportunity to beat the goalie at half time against another fan. I lost but it made half time enjoyable and gave the folk in the north stand a good laugh at my crap penalty kick. Also maybe adding a roof over the area behind the West stand with some heaters giving folk in the north stand somewhere to go at half time to warm up maybe a good way to go. Get a local business to do the work and maybe a table in hospitality or a free advertising board next season to mitigate the cost. I remember dragging my youngsters down to the games in the year or two prior to the first relegation.Not an easy task. Now they're bigger than me i have to find new ways of making sure they come down when the entertainment on offer isn't actually entertaining. Costing me a fortune in lunches for the buggers...but even kfc could only tempt one on Saturday. It has been mentioned many times but we need to attract more youngsters to games. The club should be giving away 100+ free tickets to primary schools for every home game. No cost to the club and it may attract new fans, plus additional income on match day (food / drinks). I also think the club should have 5 a-side matches for kids before games and a half time. You could have four teams playing a round robin before the game with the top two teams playing a final at half time. This would attract family and friends of those playing and provide the fans with some entertainment! If the club had invested in younger fans 10 years ago our attendances might be a lot better today. Perhaps, but the world has moved on from kids wanting to kick about in the park and follow football teams - sit in the cold drinking watered down luke warm tea and stale pies. We now have a society and generation where multimedia and technology is all the rage, kids have opportunities and access for pursuits that most of us would never have had. Its not just football support that is suffering, its anything that involves leaving the house and human interaction - shops, restaurants, theatre, cinema - people can do this from in their own homes and kids are at the forefront of this. Unfortunately what football has to offer generally may not be what people want anymore plus football is a hard sell - at clubs like ICT even more so than 'big clubs' - its all been discussed before - location, costs, weather. catering, entertainment etc etc. Facts are there's almost an infinite amount of 'better' ways to spend £30 on a Saturday afternoon. Clubs need to understand that society is changing and have marketing/media/social media managers who know how to reach the public and youth if not they will get left behind and forgotten and for all the money ICT have spent on a communications & marketing manager we are awful at it. ICT have always suffered from poor home attendances. What I found particularly disappointing was the higher we progressed through the leagues, the lower the average attendances became! I suppose there was an element of the novelty factor wearing off, but even so it must have been galling for management and players alike. Having been to a few matches over the last two or three years, it is clear the quality of football played by the current team is poor compared to teams of the past (even in the then second and first divisions). If that improved, I am sure the punters would return. Cheerleaders and decent dance tunes at half time would be a bit of craic better than trying to strain your ears listening for the cunty ht score! Big flags either side of the goal like Aberdeen to wave when we score looks bit better in the highlights thananempty north stand! Could get the young team back with the promise of a square go in front of the home support against the opposing young team place a wee bet on it! Surely any business worth its salt would be doing some market research to actually find out why the attendances are falling. They should be getting out on the streets and asking some basic questions. What about going to season ticket holders who haven't renewed - that would be a good starting point. There's the website too - put a questionnaire on that. Of course publish the results and see if there's a common thread. Surely worth a try. I thought we employed an expert with vast experience in this field? Not so much an accusation as an observation "Not so much nowadays though"... that is my point. I recall a few years ago where there were on occasion groups of kids (schools possibly) in the far end of the North stand. If the club did this for 'every' game it might make a difference, not just now and again. Yes over 25 years they probably have. I have primary school age children and in the past 4 years I have not heard of tickets being offered to their school or at the many other activities they undertake. Perhaps someone on the forum has recent experience of tickets being handed out to primary schools. The problem with brainwashed kids is that they grow up. Could we not get them in some kinda Hitler Youth type after school club showing endless reruns of our 2 cup finals make them dress in the old Flybe strips! We stopped doing free kids match tickets this season so it wouldn't surprise me if schools and things can no longer get them for free either. 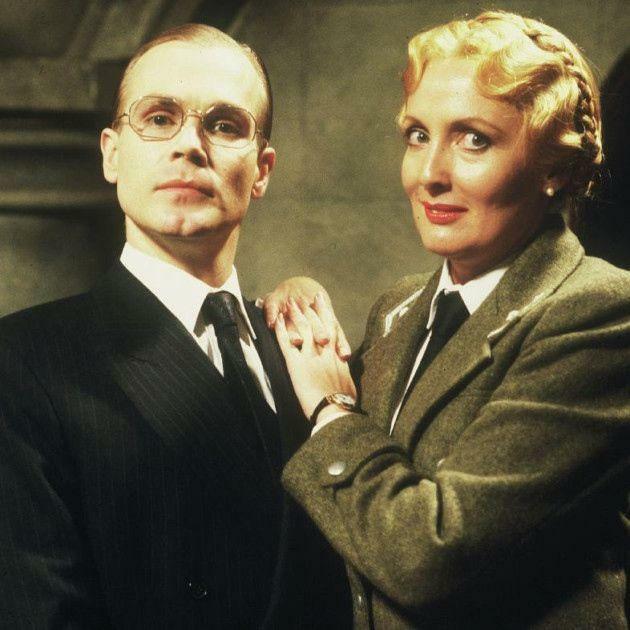 Under the leadership of Herr Rae and Fraulein Crook ? I suspect that there will be more to emerge here. A nice idea in theory but I can see it actually costing the club revenue. I doubt it would attract more than a few dozen new fans but I can imagine at least a couple of hundred who go already and probably sit in the North Stand opting to stand on the West terrace instead and, if that cost a tenner, the club would lose money and gain precious few genuinely new supporters. There are many reasons our crowds are down but having substantially lower away supports is a factor. Don't agree that the level of performance/results is as big a factor as some people make out. Falkirk reported a crowd of over 5000 for their recent home game against us and they were almost bottom of the league. Not sure what those criticising the board expect them to do as most of the suggestions here have already been tried with no success. In my opinion, the city of Inverness has no affinity for the club. Whether that is because so many people now are fairly new to residing in Inverness and have no history for the city, I don't know but until that changes, cannot see attendances increasing hugely. I also think some fans need a dose of realism. For the majority of our existence, things have been positive but now they are not. Most football teams go through this, even the Old Firm and we just have to work our way through this. You are certainly right regarding the City's lack of affinity for the club. This has always been the case except when the team 'shocks' the city by reaching cup finals and winning one of them. The city turned out in their thousands when they paraded the cup but where are those folk now? I suspect many wanted to see the cup rather than the team that won it . I think one of the biggest problems the club has is the location of the ground? Stuck out on a limb with nothing there for pre-match attraction or entertainment. Yes there is now sports bar at the ground but the last time I was in there it offered very little (nothing) to entice me back. I think one of the biggest problems the club has is the location of the ground? Stuck out on a limb with nothing there for pre-match attraction or entertainment. Yes there is now sports bar at the ground but the last time I was in there it offered very little (nothing) to entice me back. Agreed, its a bit naff that The 'Jewel in the crown' is sat a stones throw from a caravan site and a dump with not much else. I know its easy to say this is bad this is bad without offering a solution but short of a die hard fan winning the euro-millions and throwing cash at the club nothing will change. Would love a new stadium being built even if the council own it like a community campus but its not likely at all.